The Pink Dot Fat Cap with the silver hood is similar to our other pink dots. They're all can-dumppers and work with a variety of paints. 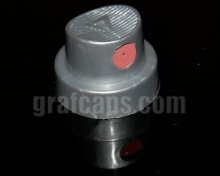 They feature one of the largest spray diameters of any of the caps that we carry.